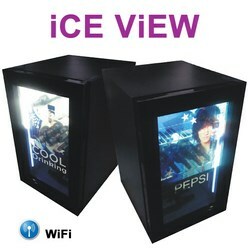 39"Transparente Refrigerator with buil in Media Player for contents displaying. Capacity: 155 litres. Refrigerator: Honeywell R134a.